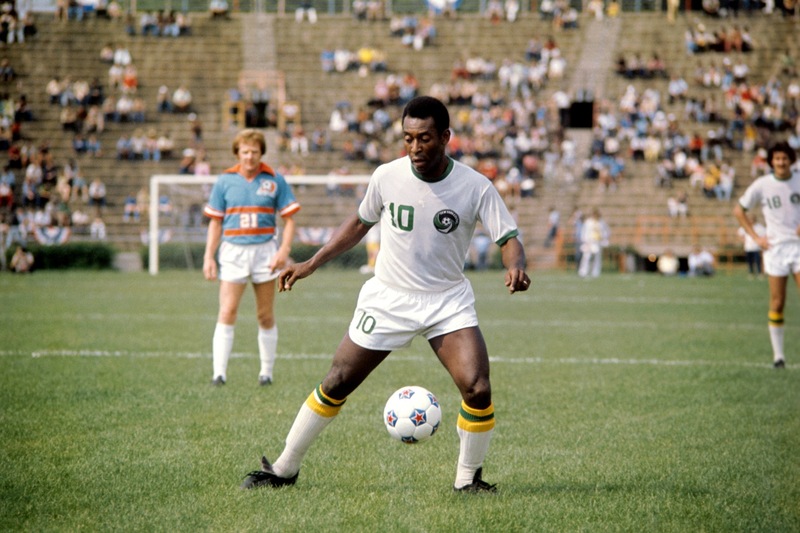 Decades before the MLS began to bring in high priced international stars, that were nearing the ends of their respective careers, the league's forefather the North American Soccer League (NASL) brought in football's biggest star of all: Pele. After a long and storied club career spent entirely with Santos in Brazil, Pele retired in 1974 after 19 seasons with the São Paulo based side. The NASL's New York Cosmos at that time were a ragtag team of misfit journeymen and college players, but their ambitious General Manager Clive Toye, with the backing of owners Warner Communications, set out to change that by bringing Pele out of retirement and over to the Big Apple. Pele joined the Cosmos on June 10, 1975 on a then massive salary of $1.4 million per year, and the club worked out a unique contract where he was registered as holding several jobs in order to minimize his taxes. He was even listed as a Warner recording artist. The three time World Cup winner debuted against the Dallas Tornados five days after signing and the match had drawn such a massive media interest around the world that the nervous groundsman spray-painted the decrepit Downing Stadium pitch green to disguise how little grass was on it. Pele came off the pitch with his feet covered in green paint and was less than impressed by the state of the pitch and the team around him. Despite Pele's presence the Cosmos would miss out on the NASL playoffs in 1975, with the Brazilian often the only bright spot in a decidedly subpar team. This would quickly change though as the Cosmos would bring in more international talent, like the Italian striker Giorgio Chinaglia and German legend Franz Beckenbauer. The club eventually moved into Yankee Stadium in 1976, before settling into Giants Stadium the following year. 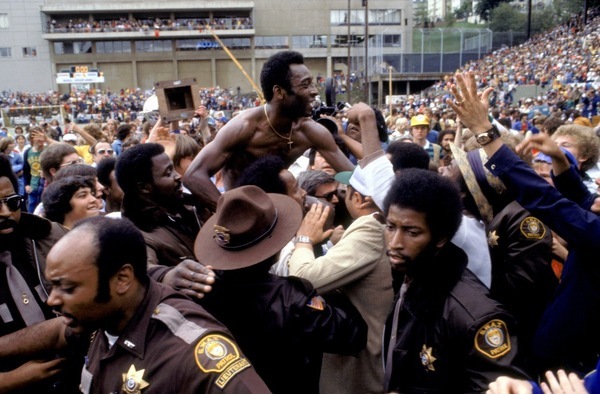 The Cosmos regularly drew massive crowds and despite his first two seasons ending in disappointment, Pele would go out as a champion as the Cosmos captured the 1977 Soccer Bowl with a 2-1 win over Portland.